Invisalign: Are straighter teeth healthier? 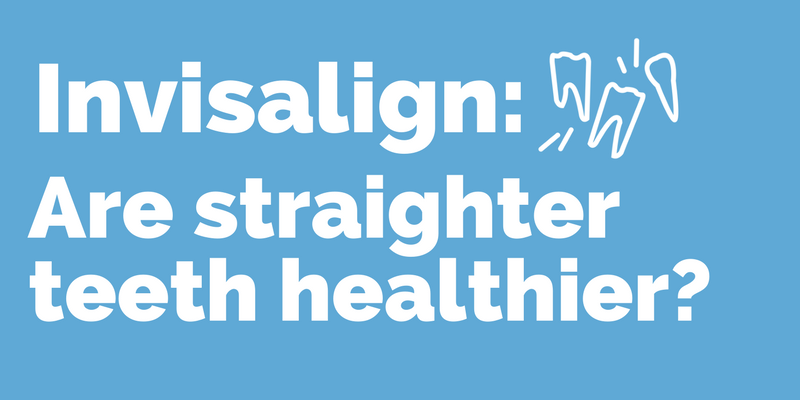 Did you know that Invisalign® is more than just a cosmetic treatment for straight teeth? You probably know that the system offers an alternative to traditional metal braces because it uses clear aligner trays to help straighten your teeth. 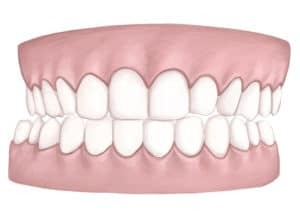 Most of the time, people assume this is a cosmetic therapy, and they’re not wrong- Invisalign can help move teeth into a beautiful, perfect, arch. However, the benefits of Invisalign are so much more than just cosmetic. Invisalign can correct a host of problems caused by “malocclusion” a.ka. a misaligned bite. The literal Latin translation is “bad bite” but we don’t want you to feel bad about it. Your misalignment may be inherited, or stem from losing teeth early or having an accident. 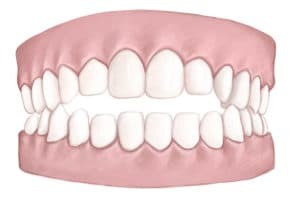 Malocclusion isn’t always obvious. Your front teeth may look completely straight, but the teeth in your upper and lower jaws don’t meet properly. 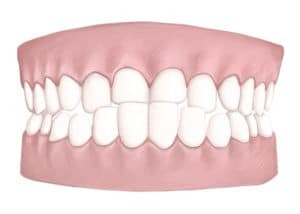 Here are some examples of bites that Invisalign can shift back into ideal alignment. Damage from “traumatic” force: Common alignment issues cause teeth to be in “trauma.” That means that instead of sliding past each other, your teeth collide as you chew, speak, and go about your day to day life. The repeated force of this misalignment can cause damage to hard and soft tissue. Over time, it can even lead to receding, chipping, and wearing. 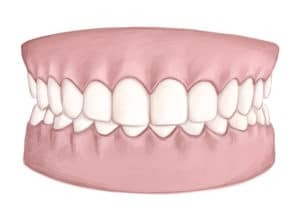 Disease from tough-to-clean teeth: Crooked or crowded teeth can be more difficult to clean because they overlap each other, trapping food and bacteria in the spaces around them. Over time, this can lead to tooth decay or gum disease. 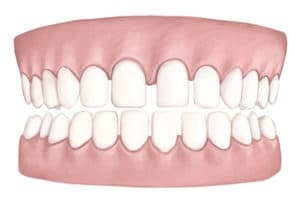 Discomfort from an imbalanced bite: Sometimes, an imbalanced bite can cause chewing difficulties while you’re eating, speech impediments, or discomfort in your jaw. Correcting the alignment of your bite can provide relief. We also know it wasn’t possible for everyone to have braces earlier in life, and, even if you did, maybe your teeth have shifted again since. That’s where Invisalign comes in. The comfortable and clear aligners gently and gradually begin to move your teeth into the proper position — without brackets and wires.